Every summer I look forward to Sally Hansen's nail releases. I always find that they come up with very interesting effects and fun colors for summer, and this summer is no exception. Ombre is a trend that doesn't look like it's going anywhere and Sally Hansen created an effortless way to get the trend without any of mess. You won't need any makeup sponges or stamping techniques to achieve the gradient effect that you're looking for! 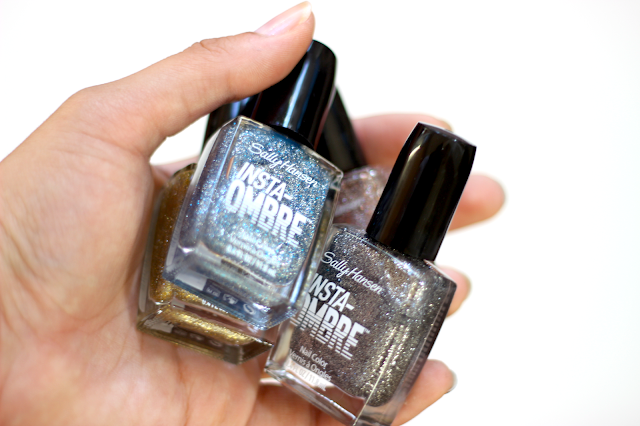 The new Insta-Ombre Special Effect Nail Colors are available in eight different glitter shades which allow you to achieve the look in three very easy steps. In this blog post I'm going to share four of the shades with you and you have to trust me when I say that they're amazing! These are definitely not your normal glitter nail polishes. 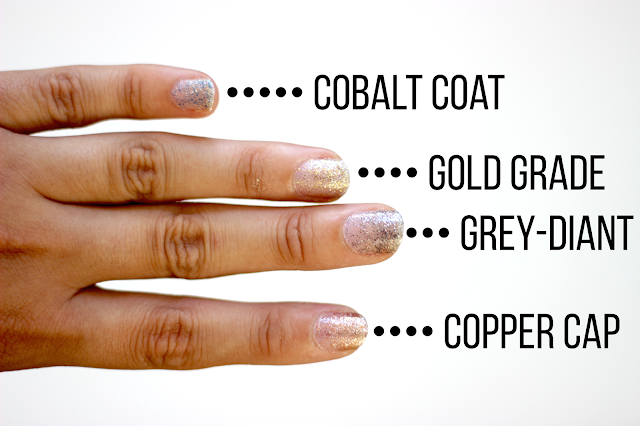 The Insta-Ombre Nail Colors are meant to be applied in three steps. First you would apply one thin coat to clean and dry nails. Next you would apply a second coat from the middle of your nail to the tip. And finally the third coat would only be applied on the tip of your nail. This very easy ombre technique will give you the appearance of enchanting nails. I honestly don't know how to explain the effect other than magical. It looks like fairy dust or something like that. I find that the glitter appears very subtle when compared to other glitter polishes because the particles are much smaller. 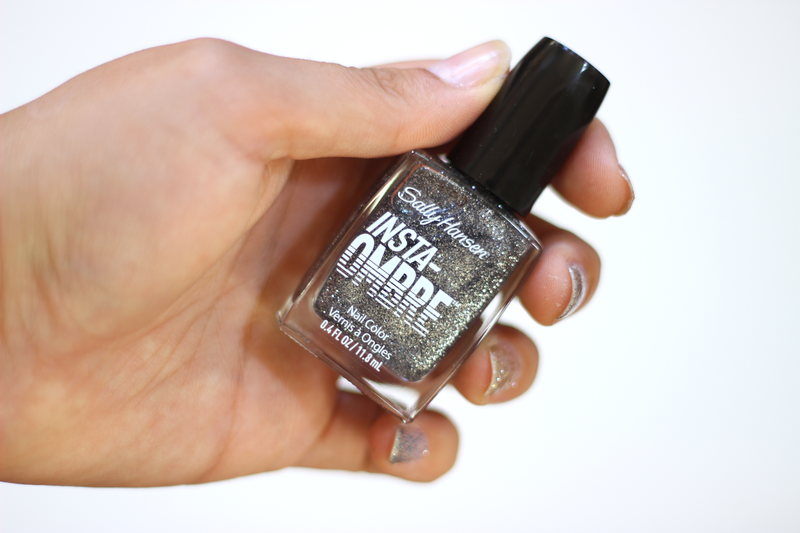 Another thing that makes the Insta-Ombre polishes different is the fact that all the shades have very tiny silver glitter particles. I find that the silver particles give more dimension to the nails and it looks nicer than having one solid color of glitter. Cobalt Coat: This is described by Sally Hansen as a blue, from barely-there to intense. The blue glitter particles in this polish is a vibrant cobalt blue. Personally I this was my least favorite color because the cobalt blue glitter particles aren't as metallic as the other ones. Copper Cap: This shade is described by Sally Hansen as a beige that grows into a warm, copper glow. I would just describe this as a rose gold shade since it's not as orange as most copper shades. 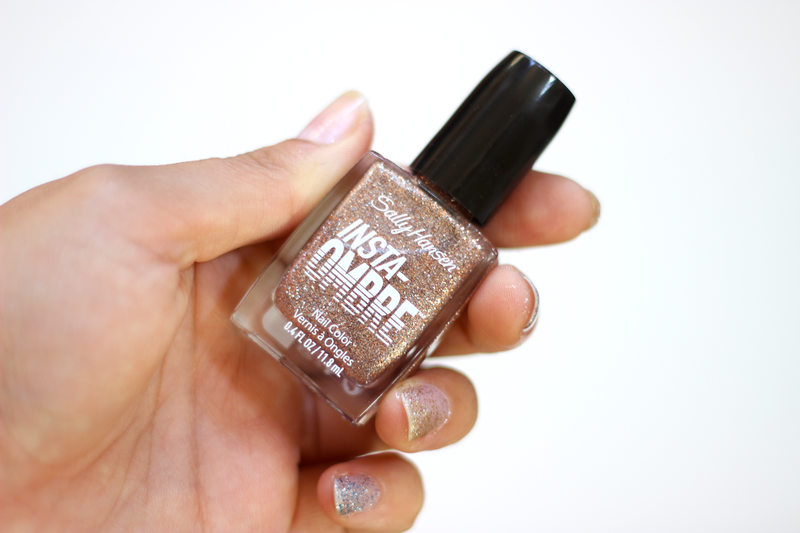 I instantly fell in love with Copper Cap and applied it on all my nails as soon as I saw it. Grey-diant: This is described as a stunningly sparkled fade from light to black. I love this color because it has the most dimension out of the shades that I have. There's at least three different colored glitter particles in Grey-diant which makes it incredibly unique. This will give you a nice silver to black gradient which looks so nice on the nails! Gold Grade: This is described by as a metallic glitter, from quiet to saturated. I love the bright yellow gold in Gold Grade because it really stands out against the tiny silver glitter. I feel like I dipped my fingers in gold. 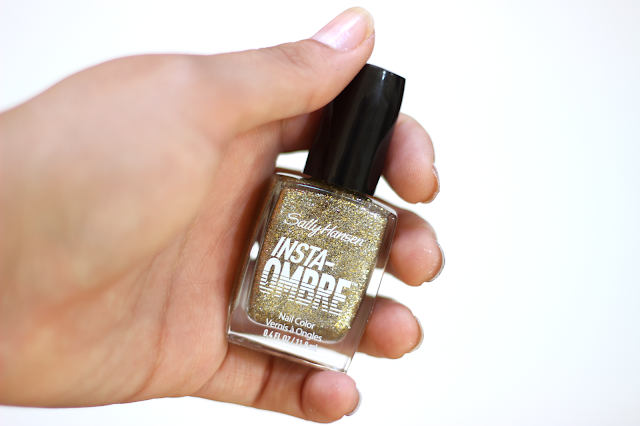 If you're a fan of gold nails, then you must get this one! Gold Grade is perfect for any party or special event. 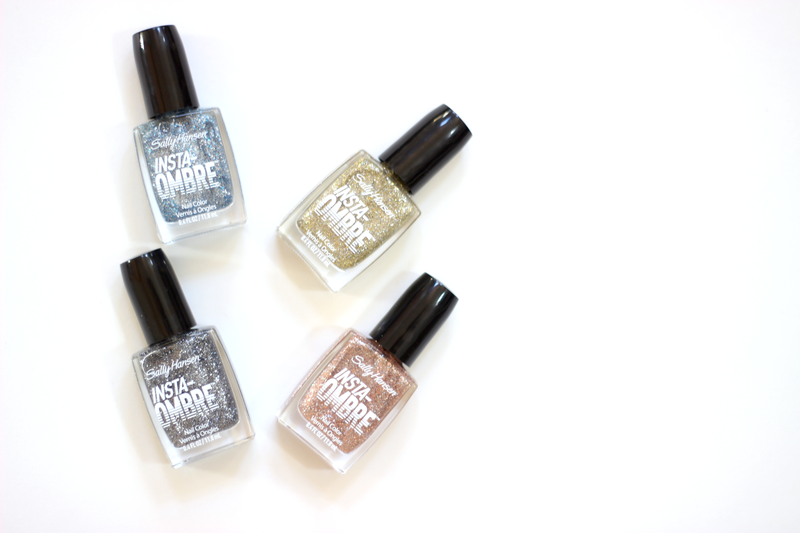 And that was half of the Insta-Ombre collection for you! Which color was your favorite? 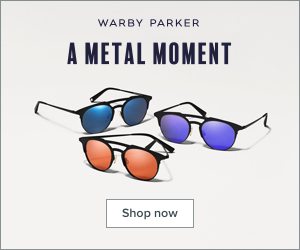 Will you be picking up a few shades? Please let me know in the comments. Disclaimer: These are press samples that were requested by myself. I am not being paid for shade this blog post.